Say goodbye to the summer heat, sun-kissed skin, beach vacations, and BBQs galore because August is wrapping up which means these last 3 months of care-free bliss are quickly transforming into the fall season. Of course summer has its perks, but in the real estate market, fall is where it’s at. The summer chaos and back-to-school hustle finally starts to slow down. No more family vacations, soccer camps, swim team practice, 4th of July BBQs or last minute pool parties. Families are back in their homes ready to take on another school year and get back into a familiar routine. Because of this people actually have the time to sit down and think about buying and/or selling their home – especially before the holiday season creeps up. Once the summer heat starts to cool off, fall weather is the perfect setting for homebuyers and sellers. Think about it for a second, if you’re running around looking to buy a home, would you be in a better mood when you’re extremely hot and sweaty, freezing cold with infinite layers, or perfectly poised in crisp sweater-weather? Fall brings about the cool air, autumn leaves, and easy-going attitude that paint’s a perfect picture for real estate season. Mother Nature is setting up the scene, all you have to do perk up your place with these three simple steps. Swap the daisies for mums and marigolds, because playing up your yard is one of the best things you can do when selling a home. People innately are quick to judge based on appearance – it instantly sparks a certain emotion. 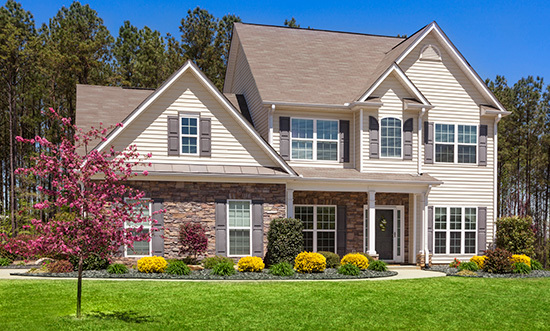 If someone were to pull up to your home and see a completely disheveled lawn, regardless of how gorgeous the interior is, your potential buyer will either walk away or immediately have a poor feeling about the house before they even step foot inside. When people think of fall they think of the crisp breeze, autumn colors and layered wardrobe. As a seller, your goal is to evoke these emotions in your buyer simply by the “feel” of your home. Accents are key: emphasize fall colors throughout the home, but don’t overdo it. A little orange pillow here, small vase with yellow flowers there. Pops of color stick out instantly. Keep the lights on: along with the warmth of the fire, keep all of the lights on when showing your house. It makes the rooms seem warmer, more inviting and more open. The last tip can be as simple or difficult as you’d like. We all can’t be 4-star chefs; however, a little baking can go along way when it comes to selling a home. Light fall scented candles throughout the home, but make sure the smells are not over powering, and mesh well together. Too much can really cause a headache. Warm up cinnamon sticks on the stove top. Simmer 1 stick per 1 cup of water – smells like you’ve been baking all day, but you haven’t even touched your oven. Now for the hard part – get baking! Whether it’s from a package or from scratch, bake an apple pie, some pumpkin muffins or even snicker doodle cookies to remind people of their childhood, being with family, and celebrating the holidays. You can even have a tray out at the showing to offer potential buyers. Plus, you get all the leftovers. it’s a win-win! 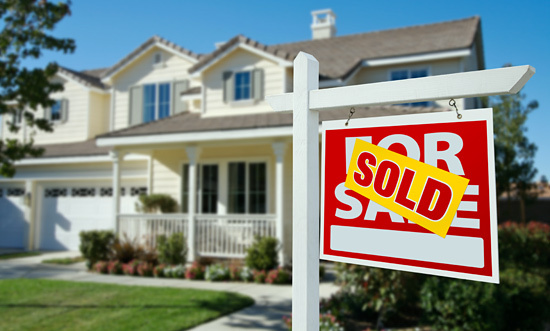 Getting your house ready to sell is a lot of work, but presenting it in a way that really shows it’s a home is what’s going to close the deal this fall. 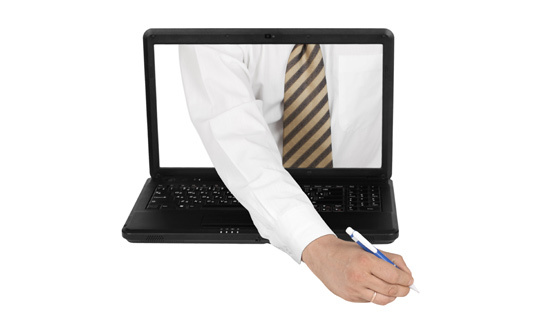 E-signing is an electronic alternative to signing documents with paper and pen. The use of technology for business purposes is growing—and e-signing is one of the fastest-growing segments. 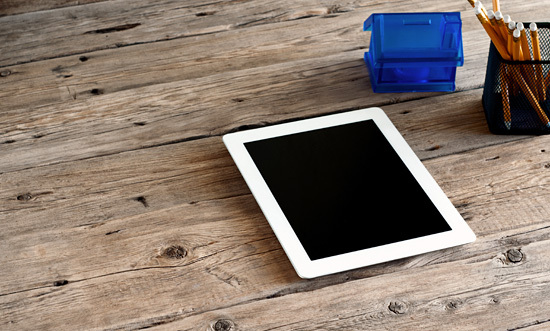 What makes e-signing appealing? Office becomes paperless: When you transition to using e-signing, you can also make the switch to a paperless office. A paperless office means you can save on printing costs & make your filing systems easier to navigate. In other words, a paperless office will have a positive effect on your bottom line. Save on overhead: This ties in with switching to a paperless office. Not using paper for every process means you can move to a smaller office space and permit your employees to telecommute. You could save thousands of dollars per year on rent as a side effect of your paperless office. Better serve your clients: Customers love convenience. It’s easy for them to sign contracts or documents when they have a free moment and the signed paperwork is automatically emailed to all parties in the transaction. Everyone who has ever participated in a real estate transaction, whether signing a lease or buying a home, knows signatures are often the biggest hassle. It creates problems for both the agent and the signer if a signature is missed; this situation often turns into a wild goose chase to get the missing signatures. How does e-signing solve problems with the real estate business? It’s simple! The agent can email what needs to be signed to the client. At his or her convenience, the client can read and sign the document in the necessary places. 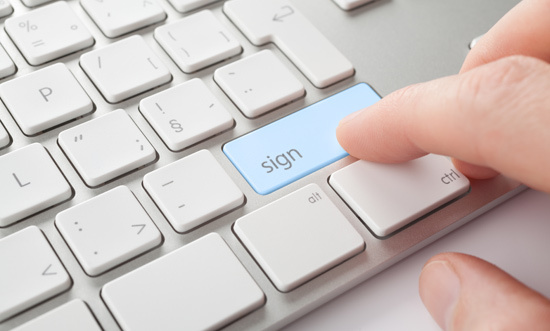 Some e-signing programs include functionality that alerts the user to missed signatures, reducing the chances of an incomplete document being returned. Does software like this sound like something that would help your real estate business? Contact formsRus for more information. We provide e-signing for clients in the United States and Canada—and a majority of our clients are in the real estate business. Businesses have traditionally used paper-and-pen signing for documents. This method, though still effective when used properly, is outdated. E-signing is a better solution for many industries, particularly the real estate business. We believe in the capabilities of e-signing and how it can change your business for the better. Quicker delivery and response time: Instead of mailing documents, e-signing lets you send papers electronically. No more postage and trips to the post office! With e-signing, click a button and send what needs to be signed on its way. You’ll also get documents back quicker for the same reasons you sent them out faster. Signing a paper document is no guarantee it will be mailed back to you the same day, week or even month. Save money: The cost of mailing documents may seem trivial when looked at individually, but adds up as you send more papers through the mail. This study suggests e-signing can save your business up to $20 per document. If you usually mail 20 documents per week, e-signing could save you almost $21,000 annually. Increase employee productivity: Handling, sorting and filing papers takes time, but at least one employee has to do it. There are many better things your employees could be doing with their time. E-signing eliminates the need to spend tedious admin hours on paper-based tasks. Incorrect dates: People make mistakes, and you’re eventually bound to receive signed documents dated incorrectly. If you’re using traditional mail, you’ll have to pay for postage (again) and wait for the documents to get returned (again.) This can be particularly problematic if you already waited a long time to receive the documents initially. With e-signing, you can send documents with errors back almost immediately and receive the corrected forms much quicker. Misplaced papers: If papers get lost in the office, they’re usually gone for good. That means you’ll have to re-send anything you need to have signed and hope the misplaced papers didn’t fall into the wrong hands. E-signing eliminates the hassle of lost documents because they are often located somewhere in the recipient’s email. Even if that email was deleted, getting replacement papers is as simple as re-sending electronically. Unauthorized viewers: There’s no telling how many people who aren’t supposed to see paper documents can catch a glimpse one way or another. A document could be left on the copy machine, printer or desk for passers-by to see. With e-signing, the document will be very difficult for unauthorized viewers to see, because it will only be sent to the parties it pertains to. Of course, email mistakes do happen, but they are less frequent than paper mistakes. No more file cabinets: Ok, you might have to keep some file cabinets, but e-signing offers the opportunity to reduce the number you need. Using documents electronically allows them to be saved on a server; server space is much more efficient than roomfuls of file cabinets. You might be able to save on rent and move to a smaller office instead of paying more because of all the file cabinets you have. Flexibility: For customers, the ability to sign documents wherever, whenever is a great thing. Businesses should make it as easy as possible for their customers to do business with them, and providing customers with the convenience of signing documents electronically is a great start. The same is true for employees. Company documents can be signed quickly and sent electronically where they need to go. Employee morale can sour if they are asked to spend too much time on menial, administrative tasks. These are just some of the reasons why we love e-signing and why it can benefit your company. formsRus provides e-signing solutions for businesses in the United States and Canada. For more information, please contact us today! For many companies during the last 5-10 years, technology has become an increasingly important part of the workplace. Not only do employees expect the latest tech gadgets to make their jobs easier, but customers and clients expect technology to be used to make doing business with your company simple. One important technology you can start implementing in your office without too much difficulty is e-signatures. Many people have an idea what e-signatures are, but don’t know much beyond the basics. Here are some of the most important things to know about e-signatures. E-signatures are not the same as digital signatures: E-signatures and digital signatures, though similar, are different. E-signatures are created by signing a piece of paper, scanning it and using that picture as a signature. This is often done by salespeople. An e-signature is also as simple as entering your name on an online form and clicking an agree button. Digital signatures have some form of encryption, like password protection or your bank account or medical records web interface. E-signatures save time: With e-signatures, you can drag and drop your signatures on electronic documents. The traditional signature method involves printing a form, signing it, scanning it and sending it back. E-signatures save money: No need to waste resources on printer paper, ink and envelopes with e-signatures. You can sign many documents and send them where they need to go right from your computer. Clearly display the terms of the agreement: For legal purposes, you still need to make sure the documents being e-signed are clear. The convenience of e-signatures doesn’t mean you can deceive people who will be using the document. 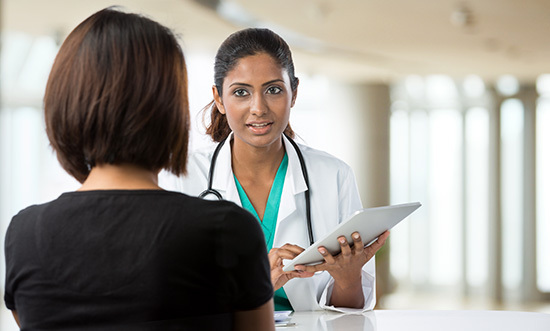 Select the right vendor: Not all e-signature software is the same. Though there are similarities in each, you need to pick the one that works best for your business and customers who might be using it. If you have e-signature software that is too complicated, no one will use it, and your business will have wasted money on the initiative. Your ROI is more than just saving paper: E-signatures make many parts of your business faster and less expensive. For example, you can recognize revenue faster if money comes in via electronic signatures instead of mailed checks. E-signatures are safe: Making a big change to the technology your business uses can be problematic if not executed properly or if the technology fails. But e-signatures are safe. Many large companies, including banks and insurance companies, rely on the technology. If these kind of businesses, which require great security, can use e-signature software, so can you! formsRus provides e-signature solutions to clients in the United States and Canada. For more information about how e-signatures can change your business for the better, please contact us today. Are You Aware How Much Paper You’re Wasting? Excess paper usage is one of the biggest culprits of environmental damage from offices. Think about how much paper your office uses on a daily or weekly basis. Then consider how many paper products your office uses, such as plates or cups, on a daily or weekly basis. All that paper has to come from trees somewhere in the world. Every time a tree is cut down, the environment is harmed. With millions of offices in the United States, large quantities of paper are consumed daily. Paper accounts for about 35 percent of solid waste before recycling. During paper manufacturing, harmful gases, such as nitrogen dioxide and carbon dioxide (which contributes to climate change) are released. It takes more than 1.5 cups of water to make one sheet of paper. 400 reams of paper is equivalent to about 1.25 acres of trees absorbing carbon for a year. If your office is using lots of paper, you’re directly contributing to environmental problems. Cut back on your paper use by investing in a paperless office solution with formsRus. We work with clients in the United States and Canada who want to streamline processes, eliminate paper and better serve their customers. Save money: Though the expense of a ream of paper may not be great, studies have shown the true costs of that ream are up to 31 times the purchase cost when costs for storage, copying, printing, disposal and recycling are evaluated. In the long run, you might end up with a true cost of over $1,000 for a ream of paper. More office space: When you reduce your paper usage, you eliminate the need for storage rooms just for paper and filing cabinets. Office space is one of the most expensive costs of owning a business. Don’t waste yours by hording too much paper. Happier customers: People like convenience and speed. Paperless offices serve their customers faster and more efficiently. 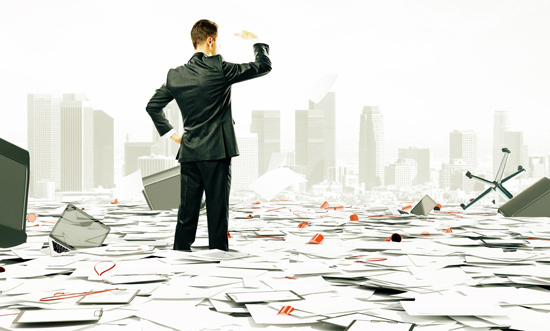 Rather than waiting for your sales staff to dig through piles of paper for the necessary forms, you can send the paper to a customer via email, saving the need and time for digging and printing. Return on investment: Of course, there are expenses that come with transitioning to a paperless office. You might have to buy a larger server or file backup service. These are necessary to ensure you don’t lose any files. But over time, you’ll notice the money you were spending on printing, storage, mailing and other paper tasks will significantly reduce as your paperless office investment pays for itself. Save the environment and your company’s bottom line at the same time. FormsRus.com works with businesses in the United States and Canada on paperless office solutions. For more information, please contact us today. Beyond the obvious money-saving benefits from switching to a paperless office, there are also environmental advantages. A simple change to paperless can not only save your company thousands of dollars, but also helps keep the environment thriving. Consider some of the following facts about paper, and how paper usage can negatively impact the environment. Average US worker can use as many as 10,000 sheets of paper annually: That’s 20 reams of paper per person. It is estimated that one ream of paper uses the equivalent of about 6 percent of a tree; this means the average US worker consumes over a tree per year just for paper. On average, a person in the US uses more than 700 pound of paper a year: To put this in context, a zebra can weigh about 700 pounds. Most of this paper can be used in a paperless manner. 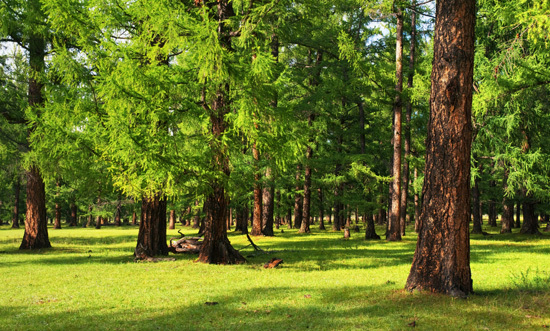 The US uses 68 million trees each year to produce paper and paper products: Plain and simple, we use a lot of paper. 45% of paper printed in offices ends up in trash by the end of the day: In other words, almost half of the paper used in offices could almost certainly not be printed, and instead be used in a paperless function. The reality is, paper is a major expenditure for most businesses, and it takes a toll on the environment. The other reality is, a lot of this paper doesn’t need to be used. Excessive paper usage creates problems for the environment. Reduced pollution: A 2008 study by the Environmental Protection Agency found that nearly 150 million Americans live in areas with potentially hazardous levels of air pollution. Trees are an excellent way to reduce air pollution. Cutting down too many raises the risk of poor air quality. 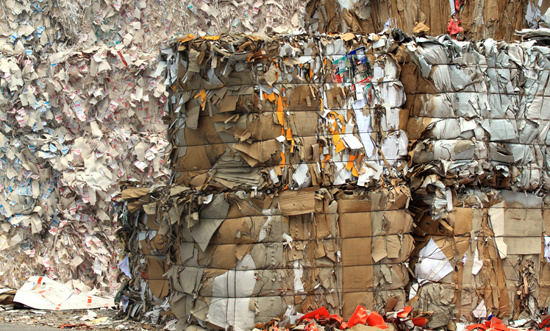 Less waste: A large amount of the waste accumulating in landfills is from paper products. Landfills are unhealthy for the environment. Reducing the size of the landfills by reducing paper usage helps the environment. Wildlife preservation: According to Planet Green, deforestation results in the extinction of about 137 animals and insect species daily. Don’t forget the most immediate benefit to your business from going paperless: LOWER COSTS. It often doesn’t cost much money to transition to paperless; this investment typically pays for itself in short order. Start saving money and the environment simultaneously! 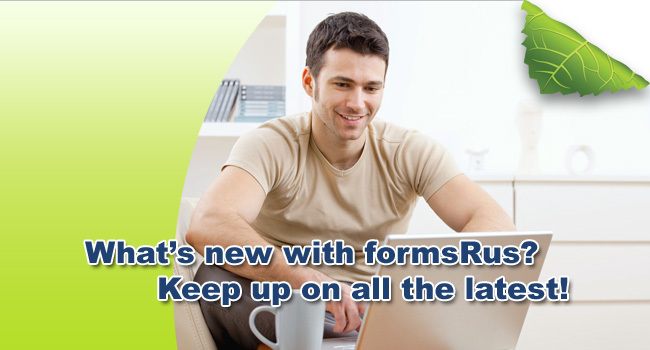 formsRus.com works with business in the United States and Canada on paperless office solutions. For more information, please contact us today.